Season 3 serves up another thoughtful, measured entry in Badlands’ blood-soaked tale. 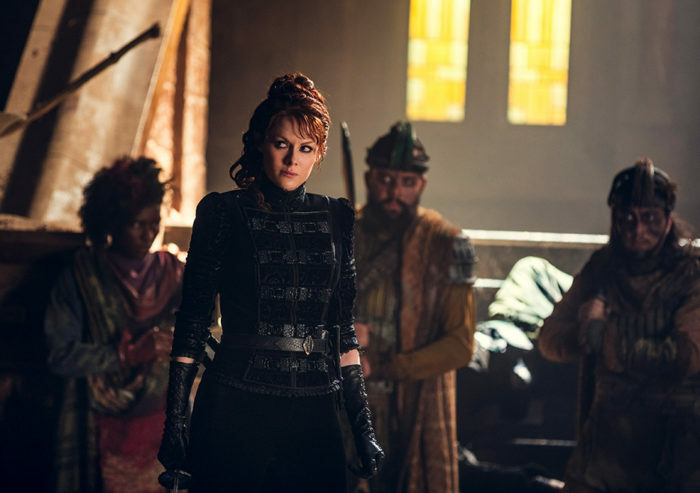 Having established the new order in the opening episodes, Into the Badlands continues following the previous seasons’ formula of allowing the character development and intrigue to grow throughout the mid-section. 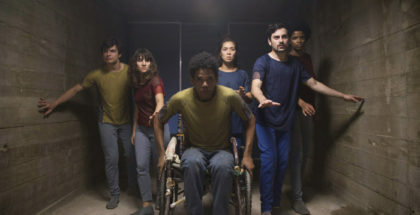 The endless cycle of vengeance has become such an important part of the progress that VOD’s premiere martial arts drama has the character’s recognising their ill-fated ways. After losing hundreds of her cogs to Pilgrim’s prophecy/propaganda, The Widow decides to track him down and make her feelings felt the only way she knows how – withering stares and bladed weapons. The brilliance of Gough and Millar’s feudal world, of course, is that no revenge ever goes quite to plan. 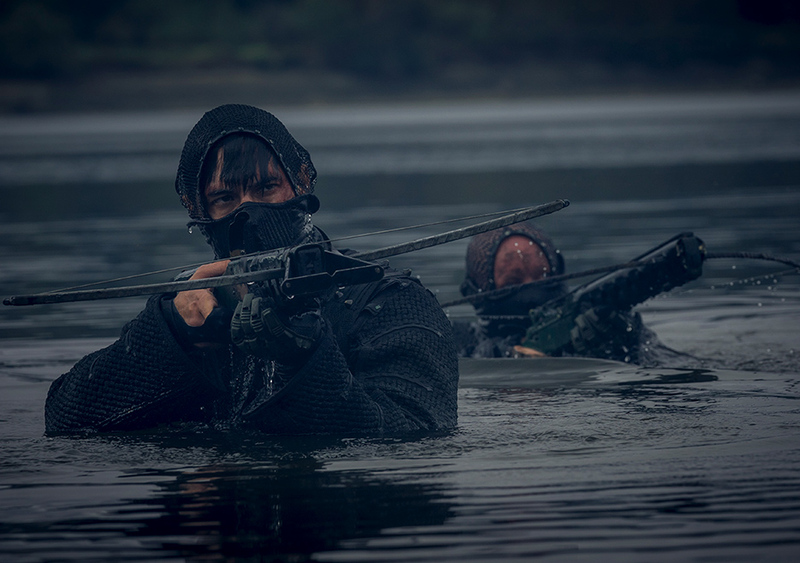 Baron Chau, becoming desperate, sets loose her Clipper brother (Iron Fist’s Lewis Tan – a truly welcome addition to a show already packed with lethality and style) to stop Pilgrim and his gifted protectors. Emily Beecham’s criminally underused Baron opts to form a coalition among the corpses, and strikes a pact with the supernatural misfits. As worlds collide in the Badlands, the same happens just outside it. Having been kidnapped by the titular Blind Cannibal Assassins, Sunny is forced into a reckoning of his past sins and successes. Thrust into the fray is Regent Moon, forced to choose between revenge and survival. A well-woven theme this episode, the cyclical nature of blood-for-blood is dyed into every story thread, culminating with Moon’s cornering of Daniel Wu’s unstoppable protagonist. While the dialogue is lacking, the overarching nature and message of the episode is pleasantly subtle – considering the episode title. As stylised and brutal as ever, Michael Taylor’s script takes focus from the undeniably innovative fight scenes (particularly Sunny and Baije’s showdown with their captors), and calmly guides the audience to the realisation that the sensational title could refer to any one of the ruthless, traumatised killers Badlands’ follows. 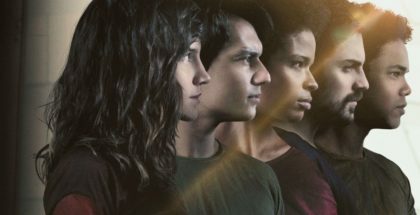 Coupled with another exceptional effort from director Toa Fraser, the show’s self-awareness makes as much impact as the now legendary colour palette and creatively produced body count.